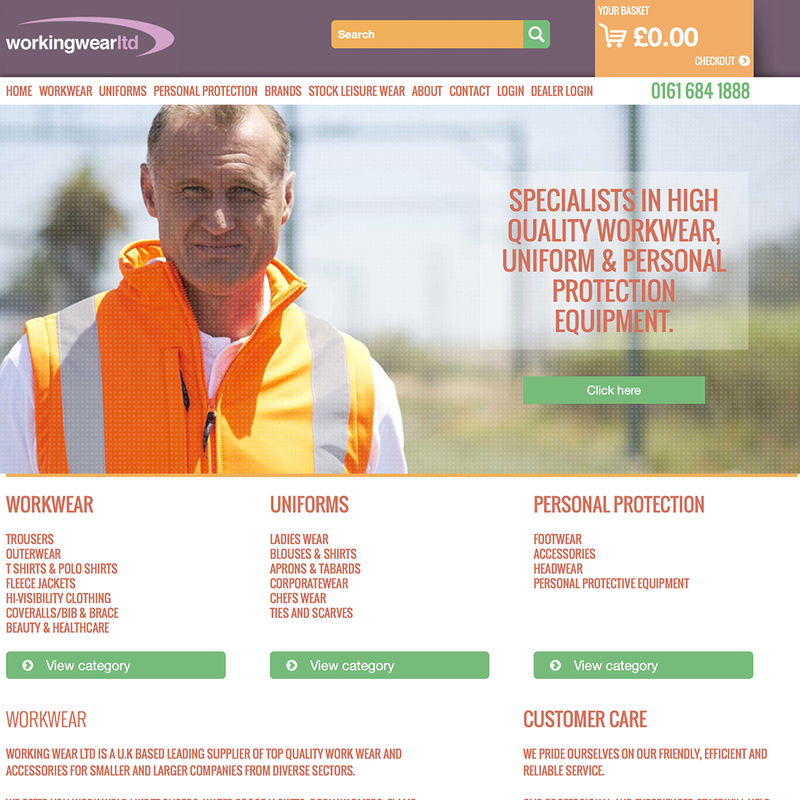 Working Wear Ltd is a leading supplier of branded work wear, providing quality uniform, safety clothing, footwear and accessories to clients across the UK. Their customers include high profile clients such as Manchester Airport, as well as smaller UK businesses. 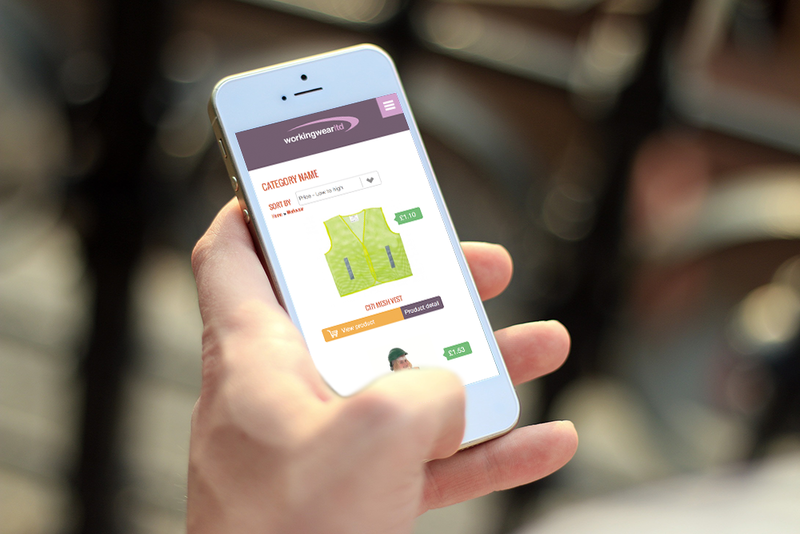 We were recommended to Working Wear by an existing client, to support the design and build of their new website. 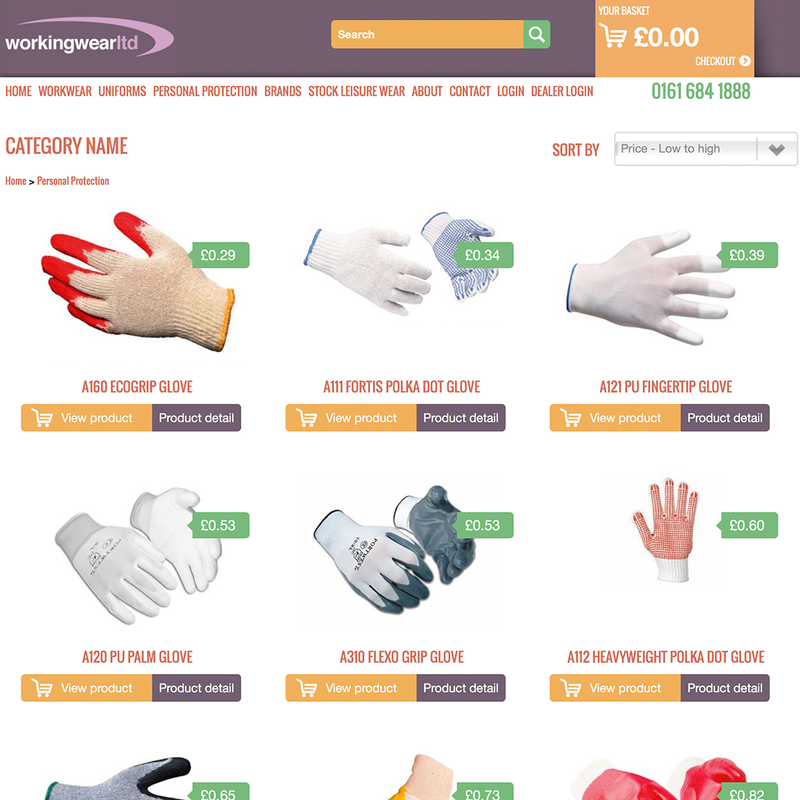 The current website was based on a legacy PHP codebase, which the company found incredibly frustrating to use, so they sought a bespoke e-commerce build that would be designed around their individual workflow. 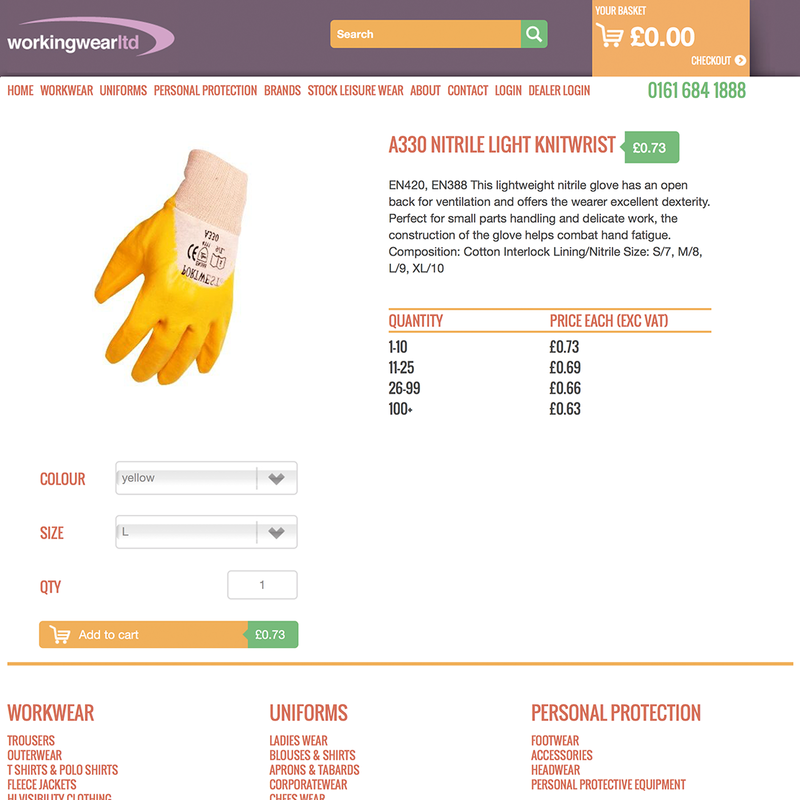 Working Wear also wanted to enhance the user experience of their website for existing customers, by developing a client portal that would allow customers to manage their accounts and easily place orders online. As such, they needed a multi-faceted digital agency that could combine technical skill with creative vision. 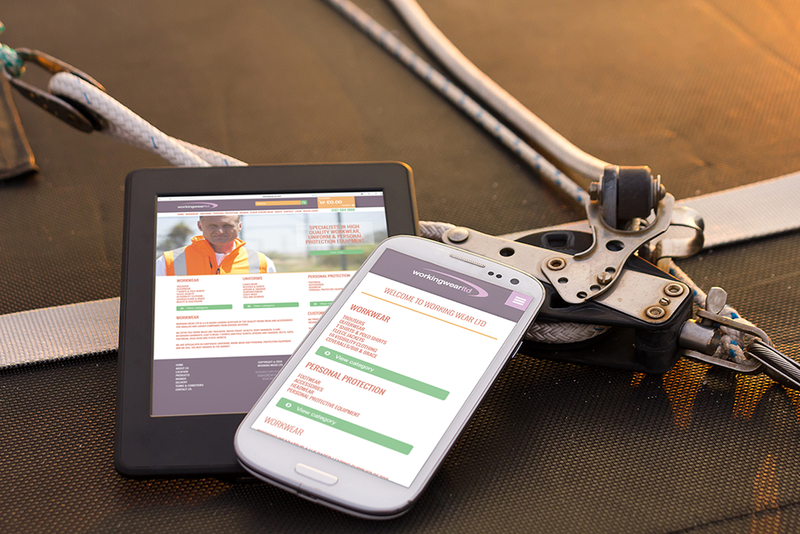 We instantly knew that a Laravel PHP framework would be the best option for the new Working Wear website, as it gave us the freedom to customise the site to the specific needs of our client, without the clumsy addition of plug-ins. 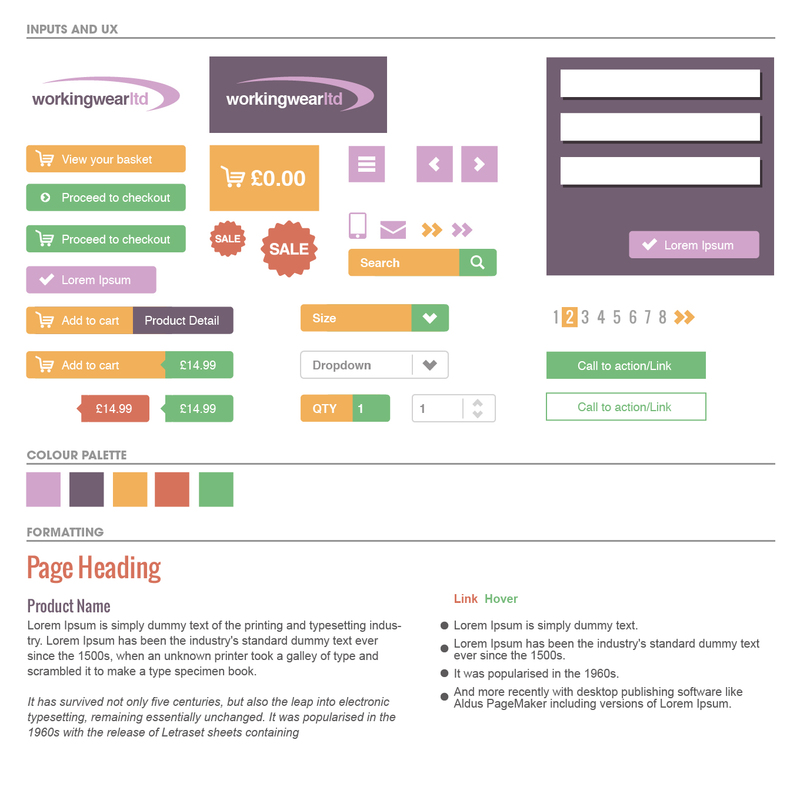 Building the website from scratch, meant that everything developed had purpose. The system was streamlined, with a small, flexible footprint that we could easily evolve – as and when the business required. Alongside producing the software, product pages, Paypal integration and client portal, we tweaked the branding and colours to make them more contemporary, ensuring that the finished platform looked as good as it worked. Within the space of two months, we had designed, built and tested the new website. More importantly, our client was thrilled with the final results. They can now manage and maintain their website without any frustration. Which, coincidently, means they are using their platform far more effectively than they did in the past.